Pitching is done live…usually. But what about the pitching done when you send out your “deck”? When others repeat what you said? When they share your contact info? All these events still matter a lot. That’s why we strive to make the pitch strong, memorable, and especially repeatable. yet it’s still likely to get distorted and weakened when repeated. That’s where video comes in. With a sharable “pitch” video you can guarantee that important people will get a crisp, clear, and impactful introduction to your project, it’s promise, it’s needs and it’s next steps. So start making video and getting comfortable in the medium. The time constraints and the one way nature of video “force” you to refine and delivery your message with discipline. That’s extremely valuable. Oh, and don’t share crappy video. If you can afford it, engage a pro! That’s what I did in my project with C Sharp Video Productions. 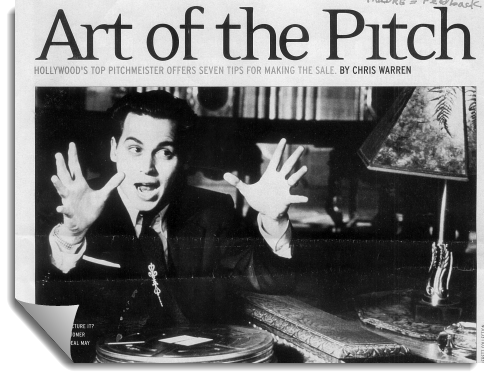 Check out their Primal Pitch feature page here. AND, if you want experience and professional assurance that your video will rock, you know who to call! This article was posted in Pitch, Video.